A wildlife safari tour is the most fascinating activity that everyone would vehemently try to achieve with the India wildlife tour. And when we talk about the elephant safari, the excitements heighten to greater extents. Corbett, being the most wonderful and demanding national park in India, offers a wonderful elephant ride along the lush foliages and tough trails of the reserve area to catch the majestic glimpses of the wild creatures. Being spread at an area of 520 sq km, the Jim Corbett Park in India is the ultimate choice for an elephant safari by most of the enthusiastic wildlife lovers. – An elephant safari will take you through the mysterious thick forests, deep valleys and the rugged trails that offer a lingering thrill to the adventure seeker which is almost impossible with the motor vehicles. So, are you ready now for the tremendous fun rolling around you? 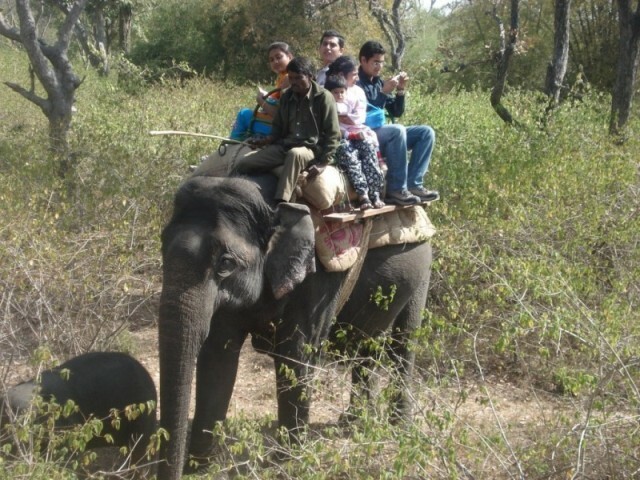 With Corbett Elephant Safari, the joy of experiencing the wildlife tour in India and especially in Corbett Tiger Reserve will get doubled and you can take great memories of the jungle experience along with you. Contact at + 91-9212777224/9212553176 now at for further details of elephant safari and we will assist you with every relevant arrangements and services well in advance.